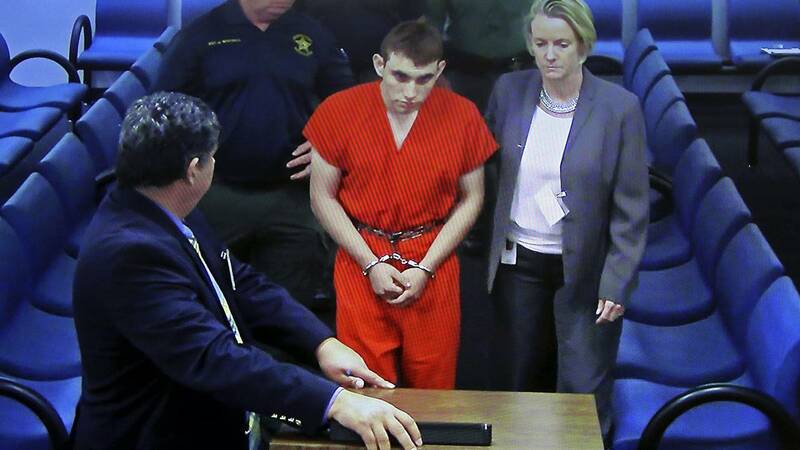 PARKLAND, Fla. - According to a report by the South Florida Sun Sentinel, the caretakers for the 19-year-old who walked into Marjory Stonemen Douglas High School armed with an AR-15 rifle and killed 17 people said that although he was immature and depressed when they let him into their home, he seemed to be growing happier. James and Kimberly Snead said they are baffled by how Nikolas Cruz turned into a killer. The Sun Sentinel reports that the Sneads' son had asked if his friend could move into their home last Thanksgiving. Cruz’s mother, who had adopted him, died of pneumonia Nov. 1, leaving him orphaned. The Sneads agreed to take Cruz in, knowing that he was depressed from his mother’s passing. They told Cruz living with them would require following strict rules. According to the Sun Sentinel report, the couple grew up around guns and are comfortable with them in their home and insisted on gun safety. They made Cruz buy a locking gun safe to put in his room for his weapons the day he moved in. “I told him there’d be rules and he followed every rule to the T,” James told the Sun Sentinel. James said he thought he was the only one with a key to the safe, but figures Cruz must have kept a second key for himself. The Sneads told the Sun Sentinel that the night before the massacre seemed just like any other. Cruz had some odd eating habits, quietly putting a chocolate chip cookie in his steak and cheese sandwich, then went to bed around 8 p.m., which wasn’t unusual. They speculate that Cruz moved out of the home in Lantana because of tension regarding his guns and a misunderstanding involving money. Cruz told the Sneads he was going to inherit at least $800,000 from his deceased parents when he turned 22. The Sun Sentinel reports that they have seen paperwork that supports Cruz’s claim. Click here to read the full Sun Sentinel article, including the Snead’s recount of the day of the shooting.